Opt for extra romance with our hotel’s King Whirlpool Suite. These spacious rooms include an expanded seating area, and a wet bar, as well as a spa tub for two and comfy terry cloth robes. Our spacious King Suites offer lots of special features and are great for extended stays and families. Amenities include expanded seating area with sofa and a hospitality center with a microwave, refrigerator and sink. 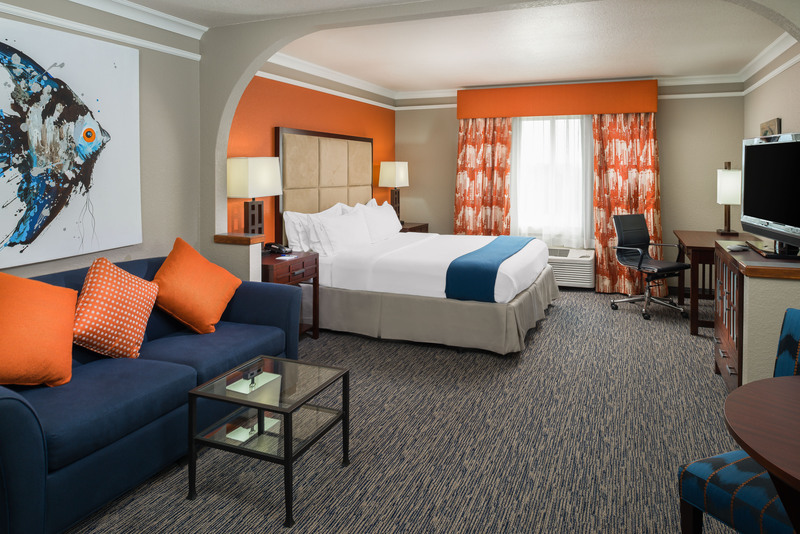 King Rooms are perfect for business travelers wanting a dedicated work space. 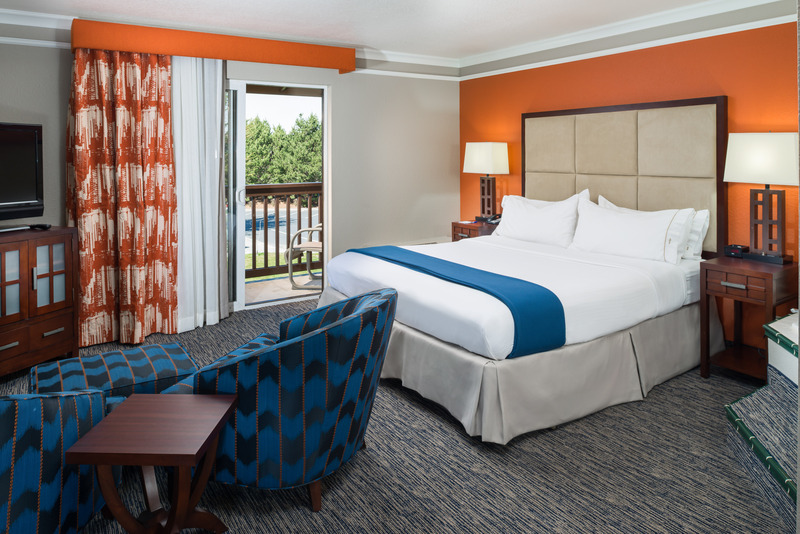 Amenities include a king bed, comfortable chair and ottoman, and a work desk with office chair. 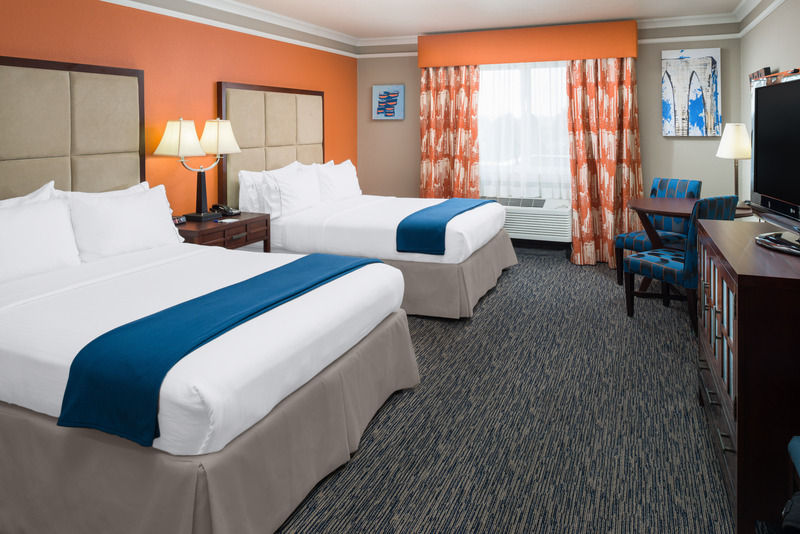 Our Double Queen Rooms feature two queen beds and a table with two comfy chairs. These rooms are a great, affordable option for families or friends traveling together. 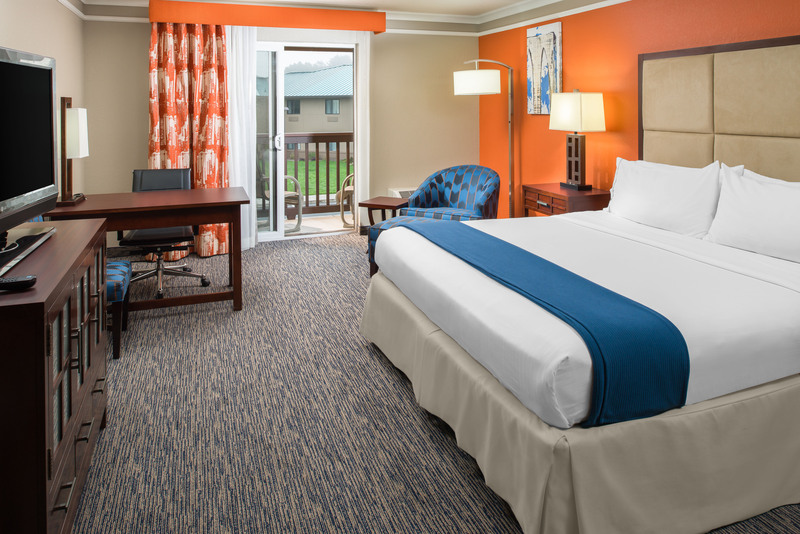 The Arcata/Eureka Holiday Inn Express offers king and two queen bedded accessible rooms for mobility, visual, and hearing impairment. Our accessible rooms include controls (light switch, hearting/air conditioning, etc.) at accessible heights, bathroom grab bars with transfer space, shower seat, lowered closet shelf, vanity and desk with required leg clearance, insulated hot water pipes, audio visual smoke detectors, closed caption television, and an accessible path of travel. Some accessible rooms include a roll-in shower. Please call 707-840-9305 for more information.